I regret to inform you…the Wicked movie is no longer a "go" for 2019.
the movie adaptation of Cats is confirmed for the big screen. The movie will be directed by Tom Hooper known for A Kings Speech, John Adams, and 2012's Les Misérables film (so get ready for some serious closeups). But I will take a step back for a second and not let my preconceived notions of this adaptation get in the way of this musicals impact in musical theatre history. Cats is one of the most successful musicals in history and is practically synonymous to Broadway itself. But how can a piece that is so esoteric in concept hold such importance? And what is the show exactly? An opera? A ballet? A revue? What is it about? We know that it is based off of a collection of poems published in 1939 about creatures known as “Jellicle cats”…but there is no plot. Webber stitches the poems together into a story of cats seeking some sort of feline redemption in the “Heaviside Layer". But uhh that still doesn’t explain why it is the fourth longest running show on Broadway, has been translated into 20 languages, and has grossed over $342 million! SO WHAT IS IT ABOUT THESE CATS?! For such a controversial show, there is something everyone can agree on - the dancing is a work of genius. Choreographed by the late great Dame Gillian Lynne (1926-2018) who is also known for her work in Phantom of the Opera, My Fair Lady, and more recently Broadways Chitty Chitty Bang Bang, this show is textbook for iconic choreography. You can’t retell these stories and change her choreography without changing the story. Wayne McGregor (who is set to choreograph the 2019 movie) has an interesting and tough task ahead of him. There will be those who want to see new tricks and features while others will take nothing less than the intended choreography given back in 1981. I tend to side with the latter. Most importantly, Cats is escapism at its best. It offers a theatrical experience that is, sadly, dying out. Pure entertainment…a spectacle. These felines led the way for Mega Musicals such as Les Mis, Miss Saigon, Lion King, Phantom, Hamilton and many more. Also, this show practically created the idea of an immersive theater experience! As those cats crawl their way through the aisles they were paving the road for shows such as The Lion King, Sleep No More, and Natasha, Pierre and the Great Comet of 1812. Once you see Cats live onstage, you see what you paid for at the box office. The lights, the costumes, the set, the talent, the special effects, the makeup…the spectacle. Cats is not Hamilton, but why can’t there be room for both? Now let me be purr-fectly clear, this is not my kind of musical. I don’t understand it, I don’t want to spend my money on it, and I’m still mad it took away my chance to belt “No Good Deed” in the comfort of my local Regal Cinema, but I do respect it. In this year of our Lord 2018, I will redirect my prayers. I ask that Hooper backs up his shots so I can see the bigger picture, that McGregor holds true to the beauty of the choreography, that Taylor Swift is as small of a role as possible, and that (please Lord) they don’t release this in Imax 3D. Oh and one more thing. Hey Jennifer Hudson...I'm really happy for you and Imma let you finish...but Nicole Scherzinger was one of the best Grizabellas of all time! Okay all Kanye joking aside...she really is my favorite Grizabella and I think her talent gets overlooked because of her pop chart past. I mean who else can go from singing "Don't Cha" with the Pussycat Dolls to starring in Phantom of the Opera living her best soprano life as Christine Daaé?! 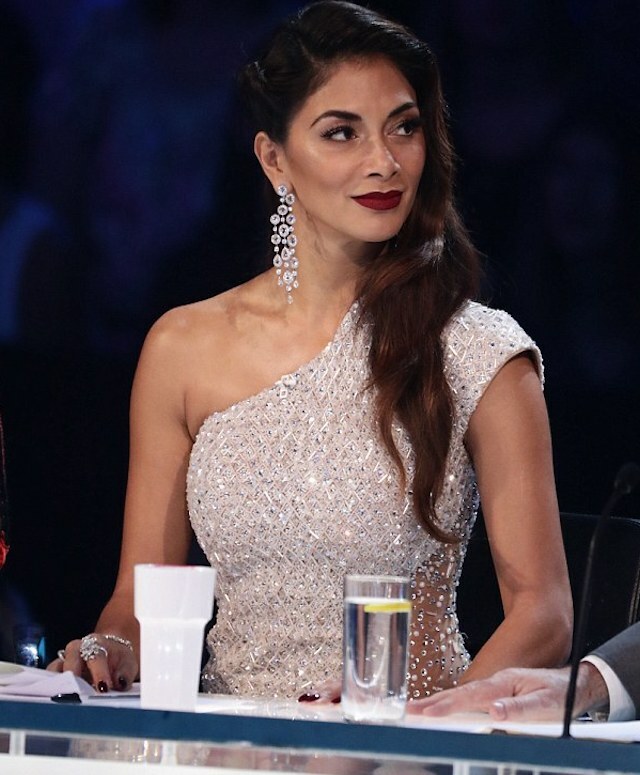 (ooo Im feeling an entire post about Scherzinger coming on...) I'm including a video of her performance down below so you can all join this bandwagon with me! Here to perform "Memory", straight from The West End production of Cats (2015)...Nicole Scherzinger. She is giving me ALL NINE LIVES at the end!! !